K's Training Academy Memberships include access on a daily basis to anything and everything at KTA that isn't already reserved and is currently open. Additionally, a member may reserve 1 cage slot per day (if available) at no charge. Lastly, members receive a 10% discount for all K’s Academy Programs, Services and Camps while having a valid membership. Only guaranteed 30min/week, but if open can use for longer. You can book for the next week at same time slot immediately after usage. You cannot book more than 1 week out. You can bring friends in that are members and share cage space for 50% of normal rental fee. You cannot ‘pool’ weekly time slots to reserve a cage for extended periods of time. One hour is the max consecutive time in a full cage. For example, 4 friends (all members) want to use a cage is allowed. However, they cannot use each of their 30 min to reserve the cage for 2 hours. You cannot bring in your own instructor unless they are your team coach or immediate relative. All private instructors will be subject to a rental fee regardless of player’s membership status. Note: NO REFUNDS for memberships will be given for lack of use of the facilities by members. However, in the event of an injury or extended vacation we are happy to freeze your membership until your return. Membership does NOT permit you to bring in outside instructors to do private lessons in our facility. 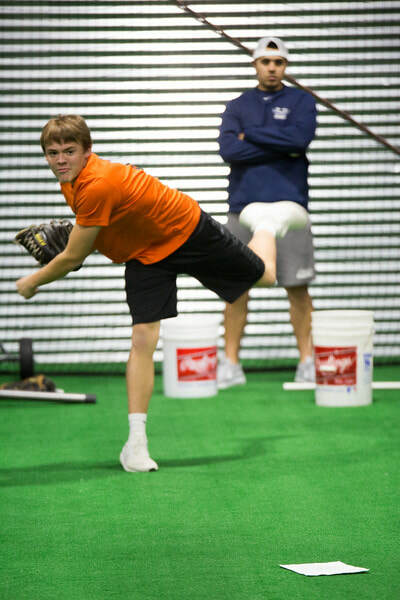 As a policy, the only private lessons that take place at KTA are by KTA instructors.